Well, I’m all done for another year! I’ve ‘won’ Camp NanoWriMo by completing my goal of editing Curved Space to Corsair, in over 80,000 words (88,000 approximately). And I have the badge to prove it! I’ve also started work on the last two Princelings books. Well a girl, has to keep those creative juices flowing, doesn’t she? 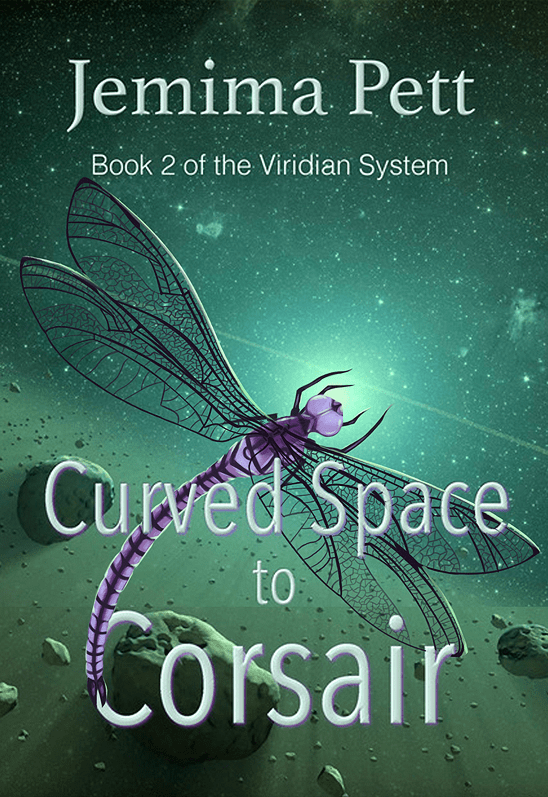 Curved Space to Corsair – what next now it’s all done? Well, of course it isn’t all done. Not yet. I’m ready to send it to my new external editor, and I hope she’ll be back from her vacation, ready and raring to go, with no other distractions like moving house or anything like that. Oh, no, she won’t have any distractions at all. Not! So when it’s ready to go through again, I’ll tackle her comments and amendments, and get it ready for publication. I am now ahead of the game, though, because my wonderful cover illustrator Danielle English – who has just opened a new Etsy store, with both prints and originals for sale – has done the lovely dragonfly that I wanted as the cover device. The Perihelix was on the first book’s cover, and a dragonfly is on the second. Since it’s also Flashback Friday time today, I’m giving you the first time I thought about how the dragonfly thing might work. This (fairly long) flash from way back (2015) started as a picture prompt from Chuck Wendig. It is now incorporated into Corsair. The book cover is still draft! Oh, my, the cover is great! And I cannot wait to get my hands on the whole story! I’m still trying to get my own blog to recognise me and accept my comments. If anyone else is having this trouble, please could you leave a comment on my blogger site http://www.ppbooks.co.uk Thanks.